Purchase your dozen B330RX golf balls on the Play It Forward Page. Drop ship them to your golfing buddies, family or friends or have them sent directly to you. The Person who receives the dozen then has to PLAY IT FORWARD by sending a dozen to their friends and so on…..
Once you receive your NICK’S Golf Balls, be sure to take a photo or video hitting them in the most unusual place. Use your imagination – strike a pose, do a trick shot with your golf team or take a photo with a famous person or golf professional. Post it using #Playitforward. The top photos and videos will be posted on the Chiera Family Foundation website and through social media and the winners will receive Bridgestone golf merchandise. Be sure to e-mail your photo or video to info@chierafamilyfoundation.org. For more information on our foundation or how to PLAY IT FORWARD, please visit www.chierafamilyfoundation.org or call at 1-800-344-0545, ext. 21. The Chiera Family Foundation was formed 22 years ago as a tribute to a father who passed away from cancer. The family’s mission to help kids and young adults battling cancer continues April 26-27 when the Foundation holds its annual dinner auction and golf tournament, the signature event of an ongoing initiative that has raised more than $3 million, sent several thousand kids to summer camp and dozens more to college. The Dinner and Auction will be held at 4:30 p.m. April 26 at the Seminole Hard Rock Hotel and Casino with a “New York State of Mind” theme. The golf tournament will have a shotgun start at 8 a.m. the next morning at Parkland Golf & Country Club. 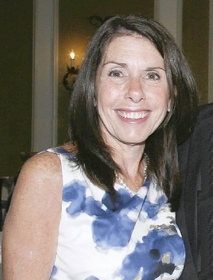 “ When people attend our dinner and auction, it is a life changing experience,” said Lou Chiera, the Foundation’s President. “They actually get to meet the kids that our foundation will send to camp and meet the college students who we are sending to college. Seeing where their money goes and meeting the children who directly benefit from our fundraising is something they will never forget. This year, 150 more kids are expected to be sent to NICK’s CAMP, a five-day sleep away experience at Camp Boggy Creek in Eustis, Florida. Boggy Creek was built in 1996 at a cost of $23 million by actor/philanthropist Paul Newman and General H. Norman Schwarzkopf to create a free, safe and medically-sound camp environment that enriches the lives of children with serious illnesses and their families. Since opening, over 62,000 seriously ill children and family members have had the opportunity to attend camp for free. The camp is located on more than 400 acres of land just north of Orlando and enables the kids to forget about their disease for a few days as they swim, go horseback riding, and partake in archery, arts and crafts, theater, fishing and boating and miniature golf. Many families are financially devastated when faced with the high cost of cancer treatments. 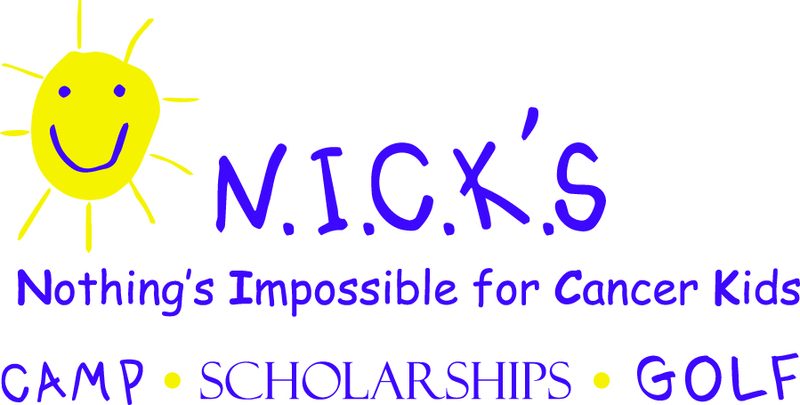 The NICK’s scholarship program allows young cancer survivors a chance to earn a degree and achieve their dreams by awarding scholarships in amounts ranging from $500 to $2,500 per year. Some of the same students who went to camp and beat cancer are now social workers, graphic artists and even Doctors and Oncologists. 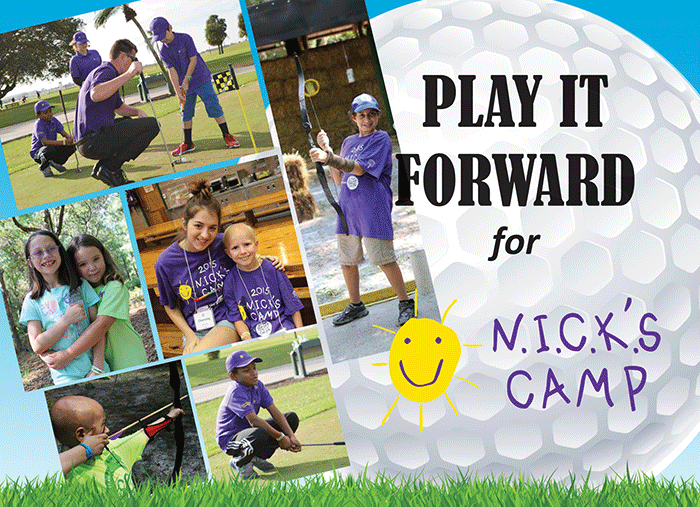 The NICK’s Golf initiative, a partnership with Joe DiMaggion’s Children’s Hospital and The First Tee of Broward County, enables 12 cancer patients and some of their siblings to complete a 12-week program which teaches them golf as well as life lessons about honesty, integrity, nutrition, exercise and other important life lessons. All proceeds from the Dinner/Auction and Golf Tournament will benefit all three N.I.C.K.’s Programs. As part of the New York theme, the auction will feature trips to see Yankees and Ranger games as well as Broadway show tickets and a behind the scenes visit to The Today Show. For more information or to RSVP directly, contact the tournament office at 561-801-0198 or email karla.wallace@img.com. To inquire about additional sponsorship opportunities or to get involved with The Chiera Family Foundation, visit the website at www.chierafamilyfoundaton.org or call 954-480-8809, ext. 21. What started out as a tribute to their father who passed away from cancer has now turned into one of the largest fundraising efforts to help kids with cancer attend summer camp and college. NICK’s CAMP which stands for Nothing’s Impossible for Cancer Kids will debut in the summer of 2014 at Camp Boggy Creek, in Eustis, Florida . The Chiera Family Foundation has been helping kids that are battling cancer attend summer camp for the past twenty years. Initially, all of their fundraising efforts were directed to the American Cancer Society’s ROCK or Reaching Out to Cancer Kids Programs. Their foundation has raised over $2.8 million dollars and has helped send thousands of kids with cancer to camp and even college. 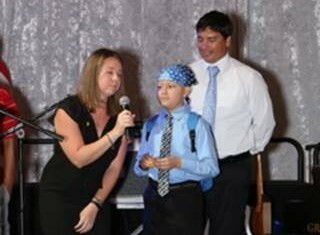 Once we were notified that the American Cancer Society was dropping their funding of the camp and moving their dollars into pediatric cancer research, we contacted Camp Boggy Creek directly and let them know we wanted to make sure the cancer week camp kept going, said Louis Chiera, Board member and Trustee. We want to thank the American Cancer Society for all of the wonderful things they have done to make a difference in so many kids’ lives. We just feel committed to these children and did not want to see their summer camp experience come to an end. After contacting Camp Boggy Creek’s CEO June Clark, The Chiera Family made an initial commitment to help fund the one week of camp for Kids from South Florida. Their recent dinner/ auction and golf tournament helped raise over $150, 000 towards that goal. In addition to helping support cancer week at Camp Boggy Creek, the Chiera family has also sent over 24 young adults who have beaten cancer to college. Through specific donations from some of their sponsors including the Cobb, Leeds, Rubin, and Haupt and Herman families, young adults from South Florida have also received a college education. I am so thrilled to see the camp continuing, said Megan Hamerdinger a former camper, counselor and college graduate. “The Chiera Family Foundation first sent me to camp and now has helped pay for both my undergraduate and graduate education at FAU. Their generosity has allowed me to pursue my goal of working as a social worker” Because of their support and generosity, I am actually helping children deal with the same cancer that I once had” said Megan. 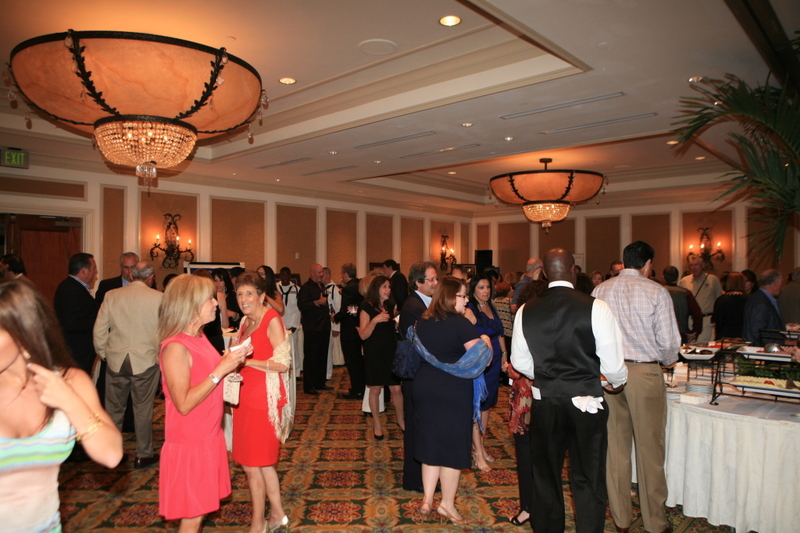 BOCA RATON, Fla. (June 2013) — Over 350 dinner guests and 120 golfers recently joined at The 20th Annual Nicholas R. Chiera Dinner Auction and Golf Classic to support kids cancer week at Camp Boggy Creek in Eustis, FL. The dinner took place at the Delray Beach Marriott followed by golf the next day at the Parkland Golf and Country Club. For the past twenty years, the Chiera family has helped send thousands of kids to summer camp and over twenty young adults who have beaten cancer to college. This event has raised over $2.8 million since it began in 1993. This year’s Big Fat Italian Dinner featured the “Singing Waiters,” and a wonderful Italian dinner and live auction. Live auction items included diamond earrings from Gregory’s fine Jewelers and one week stay’s in condo’s and private homes in Kaanapali, Hawaii, Las Vegas, NV, Park City, Utah and Martha’s Vineyard on Cape Cod. Some of the highest bid items for the evening included tickets to a Rolling Stones concert in Las Vegas along with a five day all expenses paid stay at the Aria Hotel. The Chiera Family Foundation and their board of trustees announced that, beginning in 2014, they will become a sponsor of cancer week at Camp Boggy Creek. At the dinner, they unveiled the new N.I.C.K.’s Camp logo (see below). The Chiera family started this event as a tribute to their father Nicholas Chiera who passed away from cancer back in 1989. N.I.C.K.’s camp stands for Nothing’s Impossible for Cancer Kids. The evening’s guest speakers included children who have attended the camp as well as young adults who are now going to college on scholarships provided by generous donations. The Haupt, Rubin, Cobb, Leeds, Herman, and Chiera families have all sponsored young adults who have beaten cancer with college scholarships in their family names. Founded in 1996, Camp Boggy Creek is a year-round medical camp for children with serious illnesses. Co-founded by actor/philanthropist Paul Newman and General H. Norman Schwarzkopf, the camp offers week-long summer sessions and family retreat weekends at no charge to the children or families. Located in Eustis, FL, the 232-acre nonprofit serves children ages 7–16 that have been diagnosed with chronic or life-threatening conditions. The camp is entirely funded by generous donations from individuals, corporations, foundations and healthcare partners. Camp Boggy Creek is a proud member of SeriousFun Children’s Network. Learn more by visiting www.campboggycreek.org. For more information on how you can participate in next year’s event or send a kid to N.I.C.K.’s Camp, feel free to contact Lou Chiera at 954-480-8809. 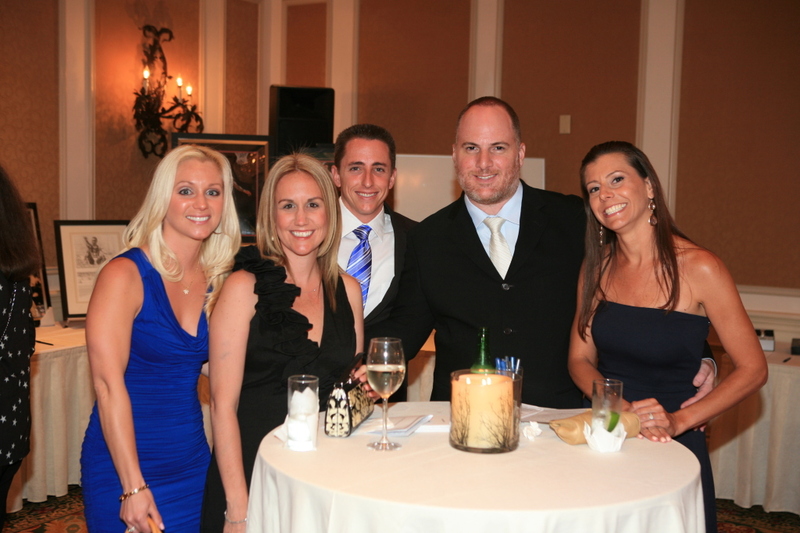 BOCA RATON, Fla. (March 7, 2012) – Lending a hand to kids battling cancer continues to be the driving force behind the 19th Annual Nicholas R. Chiera Dinner/Auction & Golf Classic. The two-day fundraiser is scheduled for Sunday, April 22nd at the Delray Beach Marriott and Monday, April 23rd at Parkland Golf & Country Club. The silent auction and live auction, sure to be a highlight of the evening, will be conducted by local and beloved auctioneer, Neil Saffer. One-of-a-kind auction items include a thrilling ride down the Olympic Bobsled track in Salt Lake City, a diamond necklace from Gregory’s Jewelers of Delray, and a private racing experience with formula one race car driver, Le Mans Champion Derek Bell, who will be in attendance. Olympic Gold Medalist Bob Beamon will also attend as a special guest. An exciting raffle will offer an assortment of prizes including $1,000 cash, a flat screen TV, an iPad and a Kindle. The golf tournament portion of the event will begin at 7:30 a.m. the following morning with registration and a continental breakfast at Parkland Golf & Country Club. An awards luncheon will follow the tournament. Funds raised from the event will benefit the American Cancer Society’s Reaching Out to Cancer Kids (R.O.C.K.) programs, which include R.O.C.K. Camp. R.O.C.K. 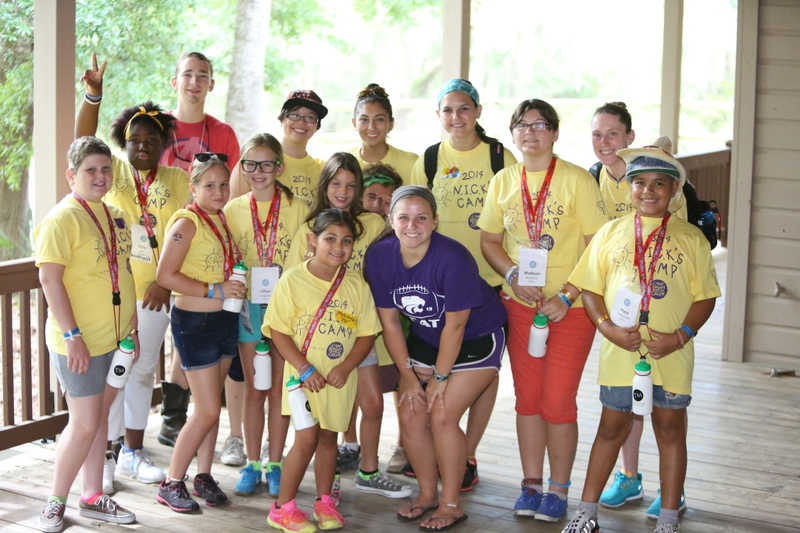 Camp, in partnership with Camp Boggy Creek, brings children with cancer throughout Florida together for a week of fun and adventure at summer camp. Boggy Creek Camp is located in Eustis,FL, and was founded by Paul Newman and Gen. Norman Schwarzkopf. More than 200 children attend this special camp each year. Campers, ages 7-16, enjoy a full week of camp activities including swimming, archery, fishing, horseback riding, canoeing, a rope course and more. They are referred by pediatric oncology treatment centers, their physicians and parents. There is no charge for attending the camp which is entirely supported by events such as the Nicholas R. Chiera Golf and Tennis Classic. The Chiera Dinner/Auction & Golf Classic has become one of the largest fundraisers for the American Cancer Society’s R.O.C.K. programs, raising more than $2.7 million in the last 18 years. KSM Electronics Inc. Of Ft. Lauderdale is once again the presenting sponsor. For more information about becoming a sponsor or participating in the Nicholas R. Chiera Dinner/Auction & Golf Classic, contact the Chiera Tournament Office at 561-799-4601. Other R.O.C.K. programs include the American Cancer Society’s R.O.C.K. College Scholarship Program which gives young cancer survivors hope for the future and a chance to reach their full potential by relieving the financial burden of a college education. The program is open to all Florida residents who are United States citizens and received a diagnosis of cancer before the age of 21. The American Cancer Society combines an unyielding passion with nearly a century of experience to save lives and end suffering from cancer. As a global grassroots force of more than three million volunteers, we fight for every birthday threatened by every cancer in every community. We save lives by helping people stay well by preventing cancer or detecting it early; helping people get well by being there for them during and after a cancer diagnosis; by finding cures through investment in groundbreaking discovery; and by fighting back by rallying lawmakers to pass laws to defeat cancer and by rallying communities worldwide to join the fight. As the nation’s largest non-governmental investor in cancer research, contributing more than $3.4 billion, we turn what we know about cancer into what we do. As a result, more than 11 million people in America who have had cancer and countless more who have avoided it will be celebrating birthdays this year. To learn more about us or to get help, call us any time, day or night, at 1-800-227-2345 or visit cancer.org. Founded by Paul Newman and General Norman Schwartzkopf, the Boggy Creek Camp in Eustis, Florida is a state-of-the-art summer camp that helps children with special needs enjoy swimming, canoeing, archery, arts and crafts and other fun summer camp activities, but with round-the-clock medical care close at hand. Q. Describe your volunteer role. A. The foundation holds a golf tournament and auction each year. I work with other foundation volunteers to collect items and services for the auction. Our efforts are year-round. On the day of the event, we also have specific tasks assigned to help make the tournament a success. Q. Why do you volunteer? A. I want to support my family’s effort to help children diagnosed with cancer and honor my father-in-law’s memory. I also visited a ROCK camp, and the experience was inspiring. So much of my volunteer work stems from that visit and the desire to spread the word about what a special resource ROCK camps are for children and families. Q. How does this camp help? A. For a few days, campers get a chance to relax, have fun and just be kids. 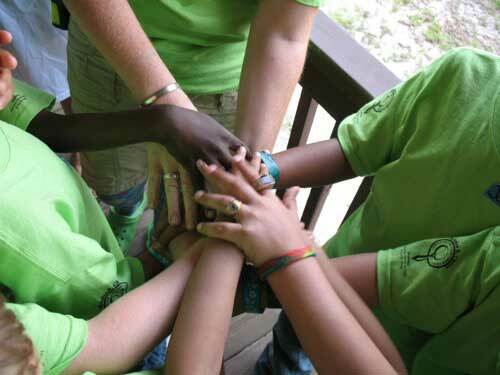 Each child’s situation is unique, but while they are at camp, the focus is on what each child can do. Caregivers also know their child’s medical needs are being met, a constant concern that encompasses so much of their daily lives. Q. What has this organization accomplished? A. Since its inception, the golf tournament has raised more than $2.4 million and sent thousands of children to summer camps. The event also funds and awards college scholarships to cancer survivors and sends families dealing with cancer to a weekend retreat in Disney World. Q. What have you gained through your volunteer work? A. It is a heartwarming and extraordinary experience to see the friendships formed during ROCK camps. Watching the transformation at camp from a child battling or recovering from cancer to simply a child having fun at summer camp is the best reward. Q. Aside from money, what does the foundation need? A. Our fundraising and community awareness efforts continue all year long. We hold volunteer meetings throughout the year and are always searching for new ways to involve the community in our events and increase awareness. West Palm Beach, FL. The 18th annual Nicholas R. Chiera Dinner/Auction and Golf Classic will take place this year on May 15th and 16th, 2011. Started by the Chiera family as a tribute to their father who passed away from cancer, this event has raised over 2.4 million dollars and sent thousands of kids with cancer to a very special camp created just for them. This year’s dinner and auction will showcase world renowned artist Michael Israel and take place at the Delray Beach Marriott hotel in Delray Beach. The dinner and auction kick-off will be at 4pm on Sunday the 15th, with a golf tournament scheduled for the following morning at 7:30 am at Parkland Golf and Country Club. “The Chiera family has helped thousands of children enjoy summer camp and forget about their cancer. Seeing the kids at this event who have gone to camp, recovered and are now going to college is a life changing experience” said Susan Lee, director of the American Cancer Society’s R.O.C.K. programs. Gold Medalist Bob Beamon, the 1968 Long Jump Gold medalist will also be in attendance at the event. Cover artist Neil Zirconia an amazing Neil Diamond tribute singer will also be performing live. In addition to sending kids to summer camp, the event also funds and awards two college scholarships to cancer survivors as well as sends families dealing with cancer to a weekend retreat in Disney World. There are currently five students attending Florida Universities with the help of the Chiera scholarships. Presented by KSM Electronics, the 18th Annual Nicholas R. Chiera Dinner/Auction and Golf Classic’s Diamond and Gold Sponsors include; Macy’s, The BoMar Foundation, The Martha G. Moore Foundaton, Carousel Development, Event Links International, InCapital, The Kate Obstgarten Foundation Ocean Properties and the Delray Beach Marriott Hotel, Quicken Loans, Rume Corp, Summitt Brokerage, Weidenfeld Financial Group at Raymond James, and the Winner’s Award Group. The American Cancer Society is dedicated to eliminating cancer by saving lives, diminishing suffering and preventing cancer through research, education, advocacy and service. In Florida, there are more than 65 offices, three Hope Lodge facilities and approximately 80,000 volunteers involved with American Cancer Society programs and activities. For more information, call toll free 1-800-ACS-2345 or visit www.cancer.org. BOCA RATON, Fla. (March 26, 2009) – Lending a hand to kids battling cancer continues to be the driving force behind this year’s 16th Annual Nicholas R. Chiera Dinner/Auction & Golf Classic scheduled for Sunday, April 19th at the Delray Beach Marriott and Monday, April 20th at Parkland Golf & Country Club. This year’s Dinner and Auction, “Art Rocks,” features internationally renowned visual artist Michael Israel. His show opens with a brief introduction, and then the spectacle begins. The music explodes and the paint starts to fly. With several paintbrushes in each hand, sometimes using only his hands, Israel transforms a larger-than-life, rotating canvas into a spectacular, 3-D art masterpiece within minutes. Israel will do four paintings live and auction off six. This year’s dinner/auction will also feature world renowned race car driver and Le Mans Champion Derek Bell as well as local actor Reed Alexander who appears on Nickelodeon’s TV hit iCarly. Monies raised from the event will benefit the American Cancer Society’s Reaching Out to Cancer Kids (R.O.C.K.) programs, which allow children battling cancer to have fun just like other kids at a week-long stay at Camp Boggy Creek. The camp, located in Eustis, Fla., was founded by Paul Newman and Gen. Norman Schwarzkopf. Young adults who have beaten cancer are also eligible for financial assistance to a Florida university on scholarships funded by this annual event. Every year more than 200 children attend this special camp. Campers ages 7-16 enjoy one full week of camp activities including swimming, archery, fishing, horseback riding, computers, canoeing and a rope course among other activities. They are referred by pediatric oncology treatment centers, their physicians and parents. There is no charge for attending the camp which is entirely funded by events such as the Nicholas R. Chiera Gala. Families R.O.C.K. Weekend takes place in Disney World and allows parents and children devastated by cancer to meet and bond with others facing cancer and to share valuable coping skills. Parents learn more about the disease from medical professionals in a casual setting, while the child with cancer and siblings are treated to fun and educational activities. The Chiera Dinner/Auction & Golf Classic has become one of the largest fundraisers for the American Cancer Society’s R.O.C.K. programs, raising more than $2 million in the last 15 years. KSM Electronics Inc. of Ft. Lauderdale is once again this year’s presenting sponsor. 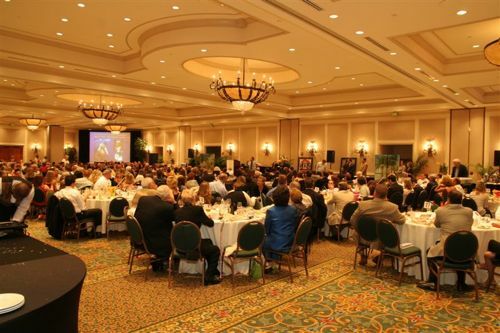 The two-day event will kick off with a fundraising dinner and auction at the Delray Beach Marriott located at 10 North Ocean Boulevard, starting at 4 p.m. on April 19th. There will be a silent auction and live auction conducted by auctioneer Neil Saffer. One-of-a-kind auction items include an actual ride down the Olympic Bobsled track in Salt Lake City and a luge ride in Lake Placid, N.Y. The dinner/auction will also feature a private racing experience with Formula One race car driver Derek Bell. The following morning there will be a golf tournament taking place at Parkland Golf & Country Club located at 10045 Old Club Road in Parkland, Florida, starting at 7:30 a.m. with registration and a continental breakfast. An awards luncheon follows the tournament. For more information about becoming a sponsor or participating in the Nicholas R. Chiera Dinner/Auction & Golf Classic, contact the Chiera Tournament Office at 561-775-8722. Helping kids battle cancer continues to be the driving force behind this year’s 15th Annual Nicholas R. Chiera Dinner/Auction and Golf & Tennis Classic scheduled for Sunday, April 27th at the Delray Beach Marriott and Monday, April 28th at Parkland Golf and Country Cub. 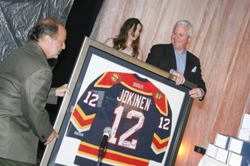 This year’s event features another donation from charity supporter and Florida Panthers player and captain Olli Jokinen. As part of charitable match program with ADT Security Systems. ADT and Jokinen each pledged to donate $1000 for every home goal and $500 for every home assist that the Panthers Captain scores throughout the regular season. Olli and his wife Katerina donated $21,000 at last year’s event through this program with Sunrise Sports & Entertainment. This season, Jokinen has so far scored 17 goals and 15 assists at home which already equals a larger donation than last year. This year’s tournament Honorees and Co-Chairs are Jokinen and his wife Katerina along with Don and Julie Weidenfeld, both Board Members and long time supporters. Monies raised from the event will benefit the American Cancer Society’s Reaching Out to Cancer Kids (R.O.C.K.) programs, which allow children battling cancer to have fun just like other kids at a week-long stay at the Boggy Creek Camp. The camp, located in Eustis, Fla. , was founded by Paul Newman and Gen. Norman Schwartzkopf. Young adults who have beaten cancer are also eligible for financial assistance to a Florida university on scholarships funded by this annual event. Every year more than 200 children attend this special camp. Campers ages 7-17 enjoy one full week of camp activities including swimming, archery, fishing, horseback riding, computers, canoeing and a rope course among other activities. They are referred by pediatric oncology treatment centers, their physicians and parents. There is no charge for attending the camp which is entirely funded by events such as the Nicholas R. Chiera Golf and Tennis Classic. The Chiera Golf and Tennis Classic has become the single largest fundraiser for the American Cancer Society’s R.O.C.K. program raising more than $1.8 million in the last 14 years. “I know that my father would be so proud to see his name associated with such a wonderful event. said Louis Chiera, tournament co-chair. “Breaking the two million dollar mark in funds raised is a fantastic way to celebrate our 15th anniversary. The following morning there will be golf and tennis tournaments taking place simultaneously at Parkland Golf and Country Club located at 10045 Old Club Road in Parkland, Florida starting at 7:30 a.m. with registration and a continental breakfast with an awards luncheon following the tournaments. “What started as a tribute to our father has now sent hundreds of children battling cancer to camp and even young adults to college,” said Chiera. “Meeting the campers and college recipients at our dinner and hearing them speak is truly a life changing experience”. For more information about becoming a sponsor or participating in the Nicholas R. Chiera Dinner/Auction and Golf & Tennis Classic contact the Chiera Tournament Office at 561-775-8722. The American Cancer Society is dedicated to eliminating cancer by saving lives, diminishing suffering and preventing cancer through research, education, advocacy and service. In Florida , there are more than 65 offices, three Hope Lodge facilities and approximately 80,000 volunteers involved with American Cancer Society programs and activities. For more information, call toll free 1-800-ACS-2345 or visit www.cancer.org. BOCA RATON, Fla. (April 15, 2007) – Bringing laughter to children’s lives continues to be the motto at the 14th Annual Nicholas R. Chiera Dinner/Auction and Golf & Tennis Classic scheduled for Sunday, April 22 at the Delray Beach Marriott and Monday, April 23 at the IBIS Golf and Country Club. This year’s event features a $21,000 donation from charity supporter and Florida Panther’s player Ollie Jokinen who at the beginning of the 2006-07 season, Luggage Express and Jokinen each pledged to donate $500 for every home goal and $250 for every home assist that the Panthers Captain scored throughout the regular season as part of the Charitable Match Program with Sunrise Sports & Entertainment and the Florida Panthers. All totaled, Jokinen scored 26 goals and 32 assists at home this season. Also at the event, famous comedian and headliner, Bobby Collins, who has hosted VH-1’s Stand Up Spotlight and toured with Cher, Julio Iglesias, Dolly Parton and Tony Bennett, to name a few. Monies raised from the event will benefit the American Cancer Society’s Reaching Out to Cancer Kids (R.O.C.K.) programs, which allow children battling cancer to have fun just like other kids at a week-long summer at the Boggy Creek Camp. The camp located in Eustis, Fla. , was founded by Paul Newman and Gen. Norman Schwartzkopf. Young adults who have beaten cancer are also eligible for financial assistance to a Florida university on scholarships funded by this annual event. Every year more than 200 children attend this special camp. Campers ages 7-17 enjoy one full week of camp activities including swimming, archery, fishing, horseback riding, computers, canoeing and a rope course among other activities. They are referred by pediatric oncology treatment centers, their physicians and parents. There is no charge for attending the camp which is totally funded by events such as the Nicholas R. Chiera Golf and Tennis Classic. Other R.O.C.K. programs include The American Cancer Society’s R.O.C.K. College Scholarship Program which gives young cancer survivors hope for the future and a chance to reach their full potential by relieving the financial burden of a college education. The program is open to all Florida residents who are United States citizens and received a diagnosis of cancer before the age of 21. Families R.O.C.K. weekend takes place in Disney World and allows parents and children devastated by cancer to meet and bond with others facing cancer and to share valuable coping skills. Parents learn more about the disease from medical professionals in a casual setting, while the child with cancer and siblings are treated to fun and educational activities. The Chiera Golf and Tennis Classic has become the single largest fundraiser for the American Cancer Society’s R.O.C.K. program raising more than $1.8 million in the last 13 years. starting at 4 p.m. on April 22. There will be a silent auction and live auction conducted by auctioneer Neil Saffer. One-of-a-kind auction items include an actual ride down the Olympic Bobsled track in Salt Lake City as well a 5 day cruise to the Western Carribean donated by Celebrity Cruises. The event will also feature sports celebrities including Olli Jokinen, Steven Weiss and Martin Gelinas of the Florida Panthers, Dolphin Linebacker Channing Crowder and Olympic gold medalists Bob Beamon and Kathy Turner. Speaking at the event will be cancer survivor and R.O.C.K. college scholarship recipient, Megan Baldwin, who is currently attending FAU, as well as Savanah Frye, a R.O.C.K. Camper. starting with registration and a continental breakfast at 7:30 a.m. and an awards luncheon following the tournaments.